Marjane Satrapi’s Persepolis: The Story of a Childhood is no ordinary memoir. Chronicling the author’s early life in Tehran during the politically tumultuous 1970s, the graphic novel depicts a young girl’s perspective on everything from love and punk rock to state reform. Setrapi writes and illustrates in her frank style of black and white comics, transporting readers with straightforward style and humour. 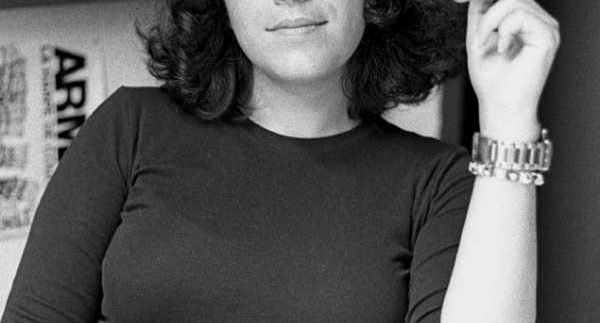 As a young girl, Marjane Satrapi had hopes of becoming the first female prophet and playing guitar with her rock and roll idol Iron Maiden. When the riots of the Iranian Revolution overtook her hometown of Tehran, however, life as she knew it was altered drastically. Her socialist parents, at first overjoyed by the fall of the Shah, soon realized the revolution was not what they had dreamed of, and encouraged their daughter to never compromise her sense of independence and creativity. Persepolis follows Marjane through adventures both harrowing and heart warming, from purchasing heavy metal cassette tapes on the black market, to seeing beloved family friends become political prisoners. The novel represents a unique look at modern Iranian identity, and is above all a testament to individuality and family bonds. The author has been sceptical of viewing Iran solely through a political lens, and it shows. In this the first half of her autobiography series, she focuses on both the painful and hilarious rights of passage as a young teen growing up in a conservative society. Her graphics are poignant and laden with emotion, the stylised black and white cartoons making this collection both an artistic and literary endeavour to be reckoned with. The sequel Persepolis II: The Story of a Return describes the artist’s teen to adult years, in which Setrapi returns from Austria to find Tehran completely transformed by the revolution. This second more mature novel touches on feelings of displacement, where Satrapi, labelled an outsider during her boarding school days in Europe, returns home to a discover that her childhood friends now view her as an outsider of a new kind, and where the trials of dating, family loyalty and coming of age continue. Both books are underpinned with historical tales from Satrapi’s grandmother and the moral and political influence of her family, creating a quirky and heartfelt tale. For these very same reasons, Satrapi has enjoyed quite a bit of success and acclaim for her work, with her candid tribute to her home country translated into twelve languages since first being published in France in 2003. If like many readers you are left wanting more, Persepolis I has been adapted to the screen. Satrapi teamed up with graphic artist and filmmaker Vincent Paronnaud to produce the 2007 animated film based on the original novel, featuring the artist’s stop motion hand drawn graphics, in both French and English additions, so we can watch the novel come to life. Born in 1969 in Rasht, Iran, Satrapi now lives in Paris where she is a regular contributor to magazines and newspapers such as the New Yorker and the New York Times. The author of several children's books, her other titles include Embroideries and Chicken With Plums.